The bar has been set. Meet the most notorious side by side on the market today. 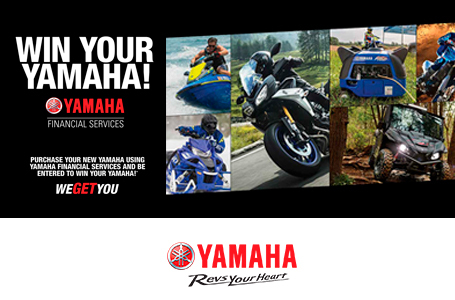 Revving out at 10,500 rpm the YXZ1000R SS EPS LE is a beast that is not for the fainted heart. You will feel all 1000cc's unleash every time you shred down the trail or roost your friends in the dunes. 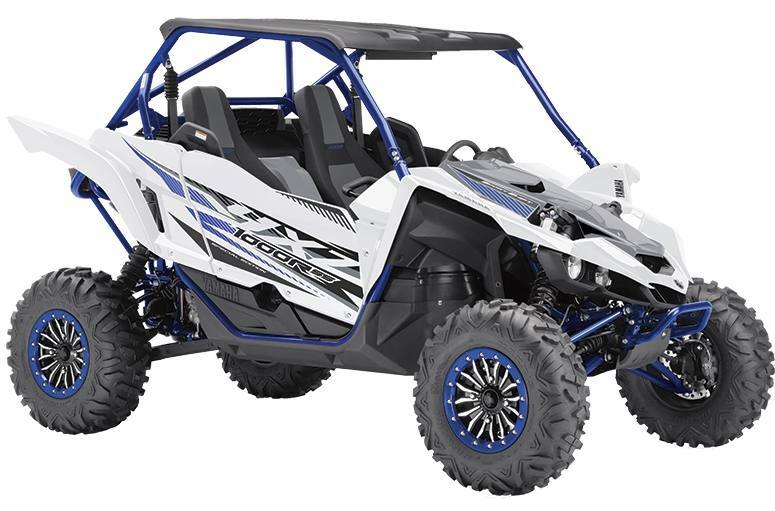 The YXZ1000R SS EPS LE has no mercy; and puts all that agression on display with its jaw dropping styling. Whats that I hear? Turn key exhilliration. 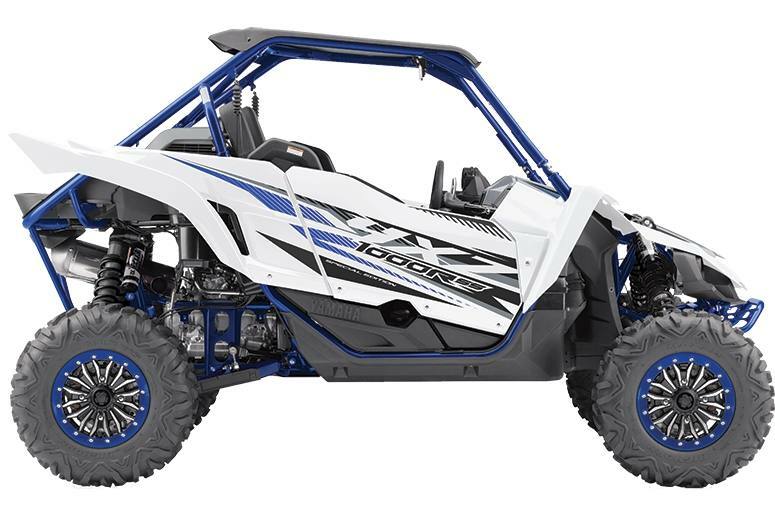 Terrainability: The YXZ1000R SS SE model houses upgraded fully adjustable FOX 2.5 Podium X2 piggyback shocks to provide further adjustability and greater range of suspension settings. Power: First-in-class high-tech paddle shift provides the driver with 998 cc and 3 cylinders worth of power at their fingertips. On-Command driver directed 4WD with diff-lock is another standard feature found on the YXZ1000R SS SE for additional off-road capability. Design: The SE models come equipped with upgraded aluminum beadlock rims, colour matched embroidered seats and Special Edition graphics and paint. Super convenient, servo motor controlled, On-Command 4WD drive mode system: On-Command drive system features 3 modes: 2wd, 4wd limited slip & 4wd differential lock; On-Command drive system lets you select the best mode for the conditions... not the machine; 4wd differential lock provides equal power to all 4 wheels for maximum traction and "bite"
Air Injection System (AIS) injects fresh air into exhaust ports to fully burn any unburnt fuel, reducing exhaust emissions. Convenient, 12 volt DC outlet: dash board mounted 10 amp / 120 watt, 12 volt DC outlet for GPS, cell phone, etc..
Fuel Delivery: Triple, 41mm throttle body F.I. Triple, 41mm throttle body F.I.